Tax reform, health care, immigration and gun safety will be the topics of discussion during a town hall meeting hosted by U.S. 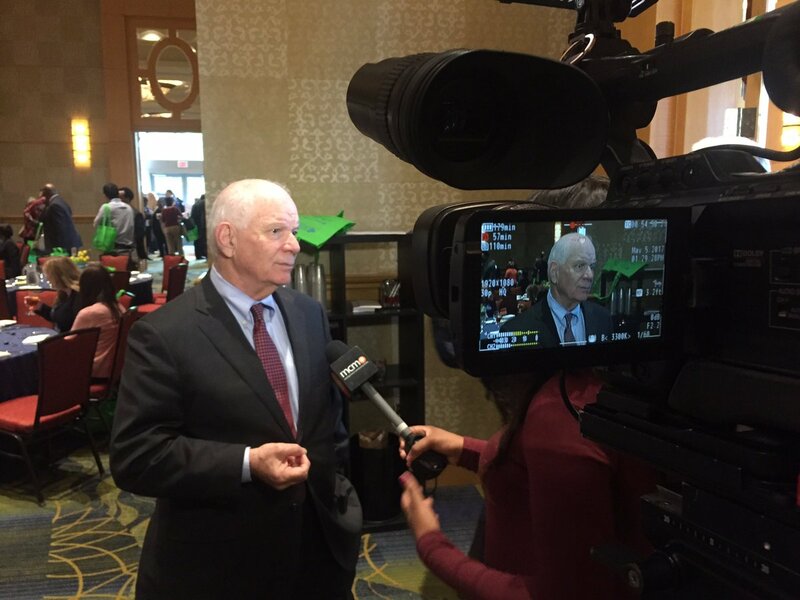 Senator Ben Cardin (D-MD). 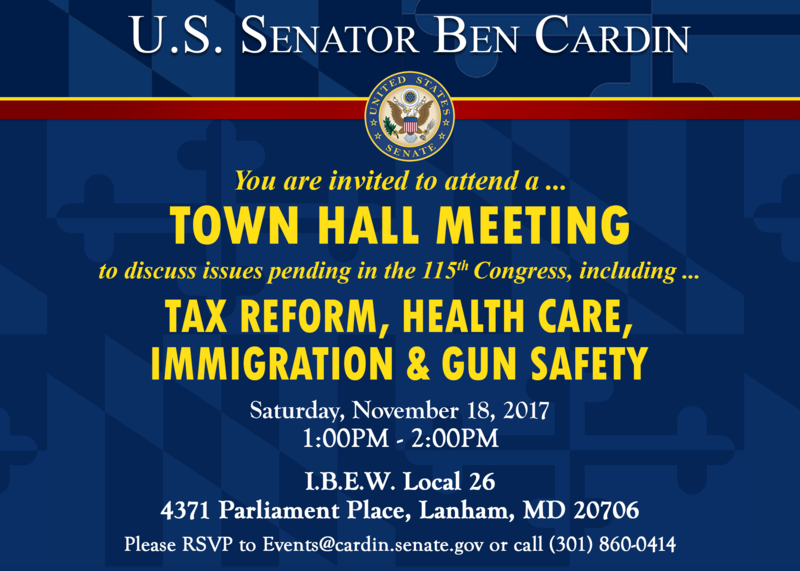 The meeting will take place on Saturday Nov. 18 at the I.B.E.W Local 26 located at 4371 Parliament Place in Lanham and begins at 1:00 p.m. Residents interested in attending are encouraged to RSVP by calling 301.860.0414 or by email.